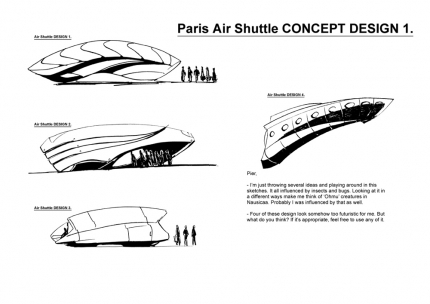 However, thinking back about Pier's style and drawing, I had to try a retro futuristic concept for the air shuttle. I hope it goes well with Pier's story. 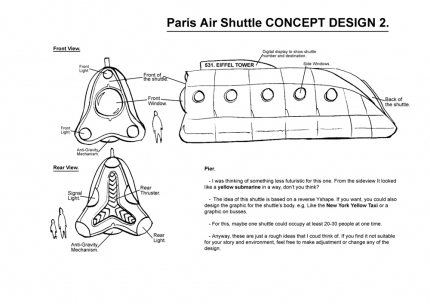 Anyway, I hope Pier would add his crazy ideas into the air shuttle and I can't wait to see his personal touch into the final design.